Chris here sharing this fun card made from the pre-made card base from Sin City Stamps. You can see that there are notches on the front of the card. They fit into little slots on the back of the card, and because the front of the card is longer than the back the front ends up being rounded and 3 dimensional. 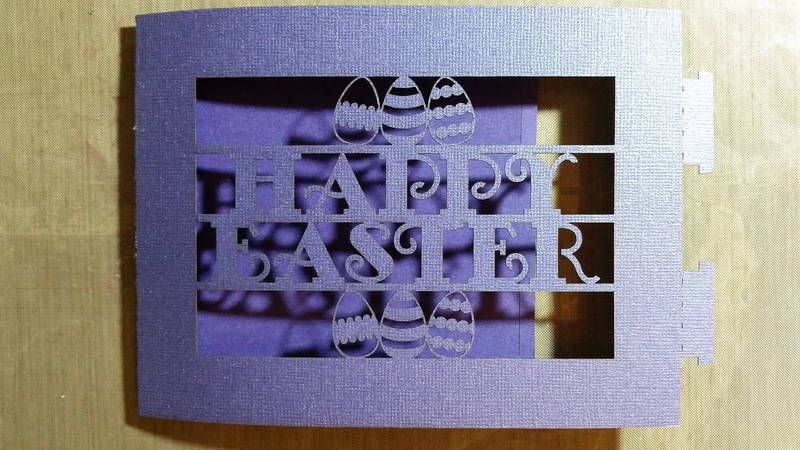 I started off with the card base and added some faux stitching around the greeting on the front of the card. I then decorated the inside of the card with some American Crafts papers to create a sky and grass. 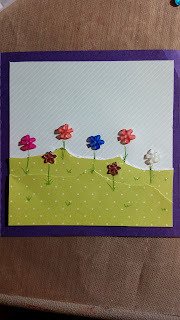 I added the flower flatback embellishments from Sin City Stamps and added some hand-drawn stems. Don't worry the stems don't have to be perfect, you are just going for a field of flowers as the background for your card. Once your background is done, fold your card and you are finished.